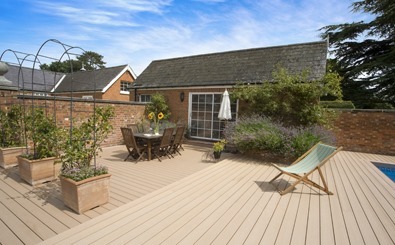 TimberTech decking provides a stunning surface that looks great and performs extremely well. 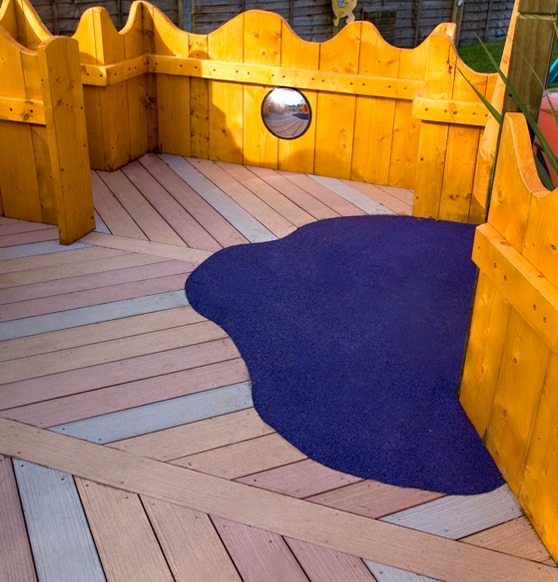 If you need a safe, slip-resistant outdoor flooring solution for a nursery, we can help; our boards are made from a special blend of recycled hardwood and pure polymer, making TimberTech the perfect outdoor decking option. Since as far back as 2007, TimberTech have worked with specialist day nursery providers in search of high-quality nursery decking. These clients are typically looking to modernise, update, and generally refresh their existing external play areas; TimberTech decking has been installed in over twenty one nurseries throughout the UK to date, and our decking has brightened up over 970 square metres of child’s play area flooring with an array of colours. "The reason we chose TimberTech over other composites for the Busy Bees and Leapfrog Nurseries is that we needed a totally reliable, great-looking product that wouldn’t split or splinter. Being splinter-free is even more important in the day care industry. 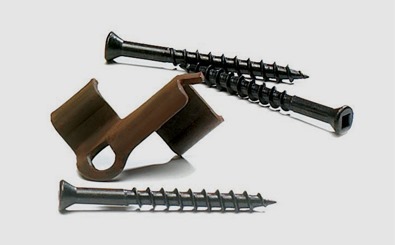 We had previously used other composite suppliers, but found that we had issues with staining, as well as with a lack of consistency in delivery and lead times. We would happily recommend TimberTech and their products, and have found not only the product to be first rate, but found the service to be first class too. " To understand why our decking is so ideal for nurseries, you have to understand all the benefits that our products can offer. TimberTech decking doesn’t require any maintenance, saving customers the time and effort that might have been spent sealing, painting, and treating the boards on a regular basis. Our decks are also impressively heat and fade resistant; having gone to the effort of installing a deck, the last thing you want is to watch as the elements take their toll on its natural-looking elegance. We may not be able to ensure beautiful blue skies or sumptuous sunshine in this country, but if you choose TimberTech’s nursery decking, you can at least rely on our boards to stay bright! In addition to the low-maintenance properties of our products, nurseries also benefit from the aesthetics and safety that we offer. We all know how much children enjoy bright colours, and not only will your chosen shade stay striking, we’ve even had reports of little ones making games out of them. Children love the wondrously engaging colours of our decking, so much so that they jump from one colour to another, turning our deck boards into a hopscotch court. It probably goes without saying that the safety of children is paramount when seeking decking for nurseries. 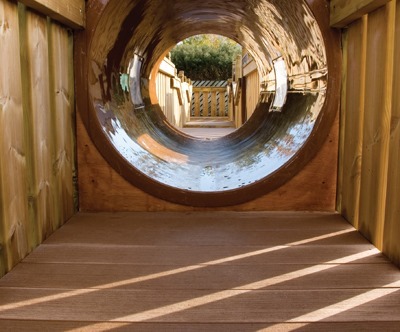 This is why our decking products perform so marvellously when used as play area flooring &ndash; they&rsquo;re naturally slip-resistant, even when wet, which means that bad weather needn&rsquo;t hinder the children&rsquo;s playtime! 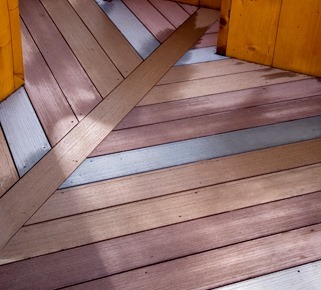 Our decking is also splinter-free, meaning children can walk, crawl, and enjoy this flooring surface to the full. 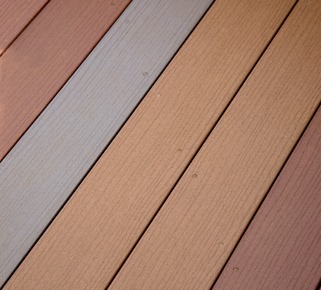 If you need nursery decking, the TImberTech UK team would love to hear from you. To request a free sample or discuss your requirements with our friendly sales staff, call 029 2080 3756 today!